Alf Kumalo, one of South Africa's best known and loved photographers died yesterday. My friend Catherine Muller shot an interview with him in February at the museum he created in Soweto. She posted a four minute rough cut today. Alf Kumalo February 2012 from Catherine Muller on Vimeo. Whenever I or anyone else in South Africa was making a histrocial documentary, we would end up talking to Alf and wading through his archive of images covering the history of South Africa from the 50s onwards.Of all his many great photographs, the one that still touches me is one of the pictures he took of a very young Winnie with Nelson and their first child Zinzi. As he says in Catherine's film, photography forms part of the political history of the country. The images of apartheid and the struggles against it formed a core of a consistent and successful propaganda campaign abroad waged against the regime. 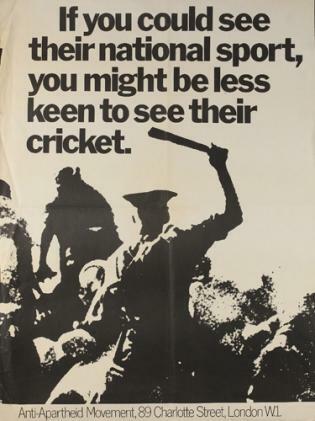 As a child growing up in London, I remember many stories about apartheid but my earliest memories are the boycott posters in my bedroom with images of the Sharpville massacre. Alf was one of the photographers at the funerals.